I think as our lives get busier, we need something to revert to that is simpler. Coloring can be that for people, even if they don’t believe they have any artistic skill. Crafts such as knitting or cross stitch can serve a similar function, but coloring is something we can all do without any instruction or need to learn a new skill. A few years ago, a friend introduced me to “adult coloring books” – books designed for a more advanced colorist, with complex patterns and lots of intricate detail. That introduction eventually led to experimentation with my own designs, and a whole new world of drawing and art. I’ve also noticed a lot of interest in coloring among friends, family and other people I speak with. 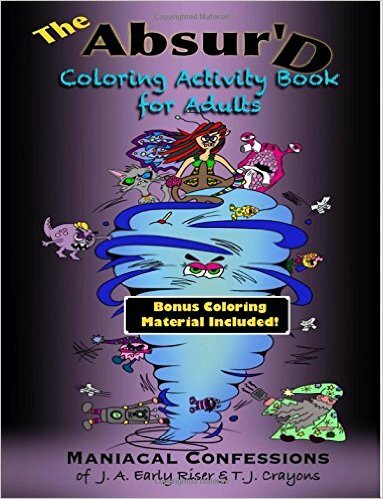 It appears to be a growing interest, and there are a ton of coloring books designed for adults, but not a whole lot of information about the books that are available. That’s a problem I hope to fix with AdultColoringBooks.com. As I started collecting my own coloring books, I found that there was a large variation in quality, price, and style. So I decided to create a site with reviews and other information about what’s available. Of course, as with any idea, as I started building the site, I came up with other topics to add a bit of fun to the site. You can read about some of my ideas for the site in my first post. Hi, I’m Mary J. Winters-Meyer. I’m not a famous artist that everyone has heard about, although I have been lucky enough to win some awards in various places with my art and my beadwork. I’m fairly new as a 2D artist. I only started drawing in 2013, although I’ve been creating in one way or another for as long as I can remember. I do consider myself an artist, and I have taken on a number of projects that have garnered some interest in various arts and crafts circles. Most recently, I appeared on NBC Nightly News after participating in a Chicagoland coloring party. More important, though, I enjoy sharing knowledge. I love researching and hunting down interesting facts and stories, and sharing them with other people. I love teaching people about creative techniques and watching the joy they get out of making something that is uniquely their own creation. I’m an expert at finding things online – my Google-Fu is strong! 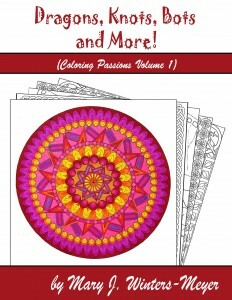 So join me as I dig through the internet to find interesting coloring books and coloring pages. Please feel free to leave a comment and let me know what you would like to see here. 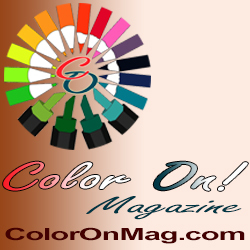 I hope to grow this site into the resource for coloring enthusiasts.